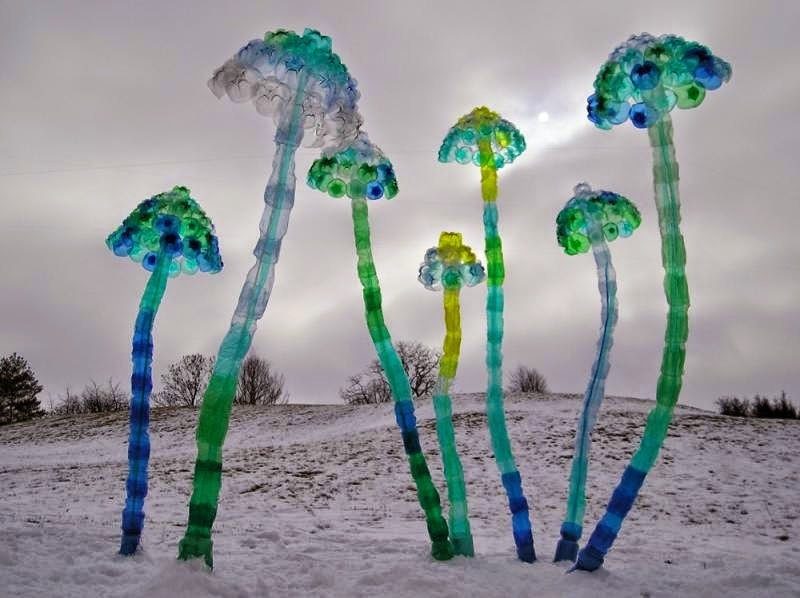 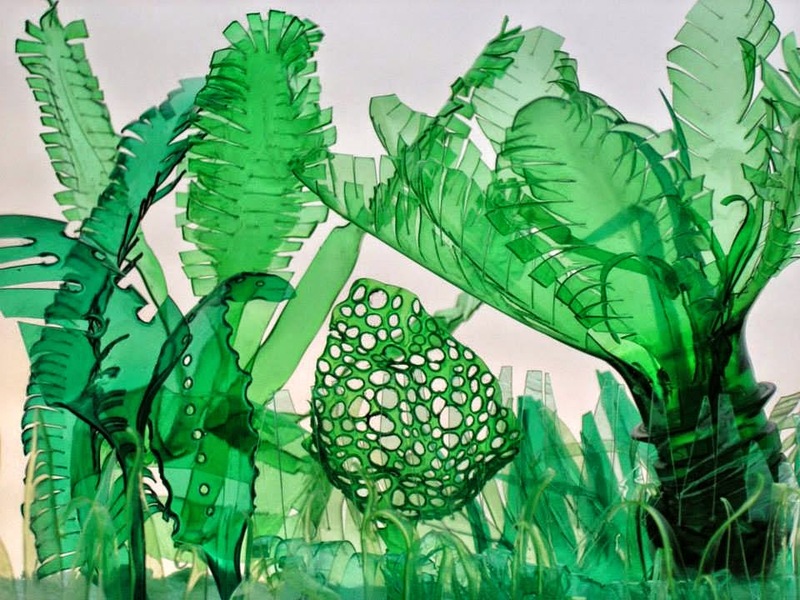 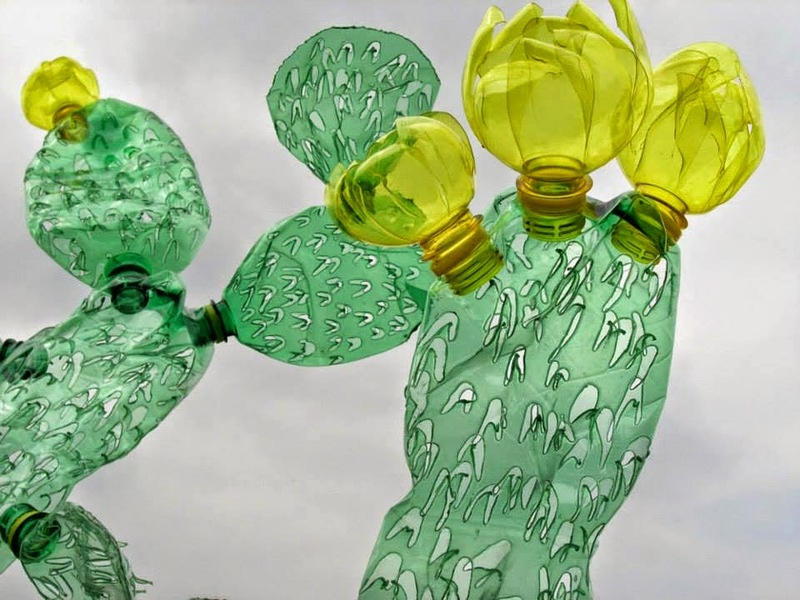 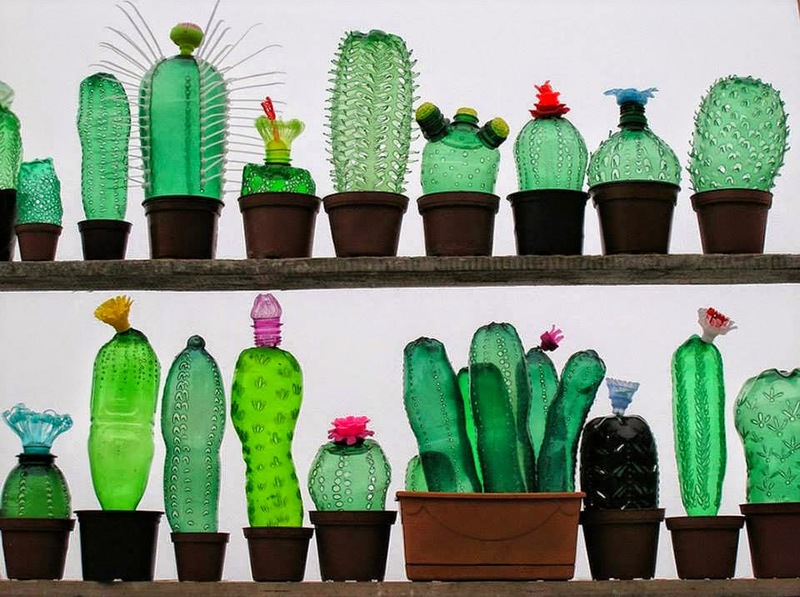 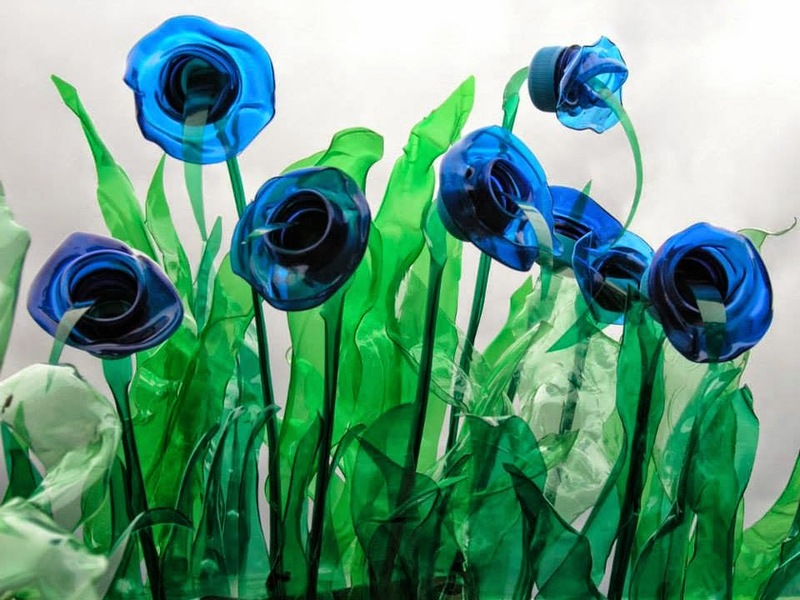 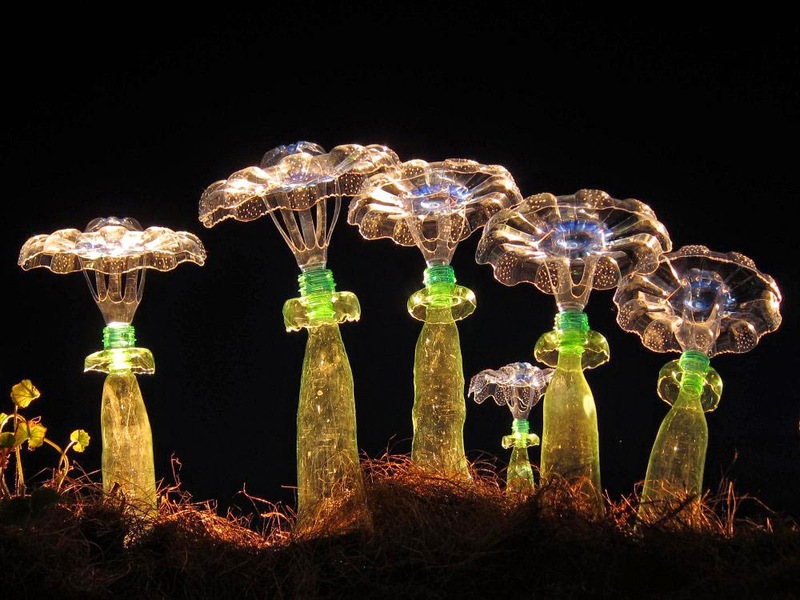 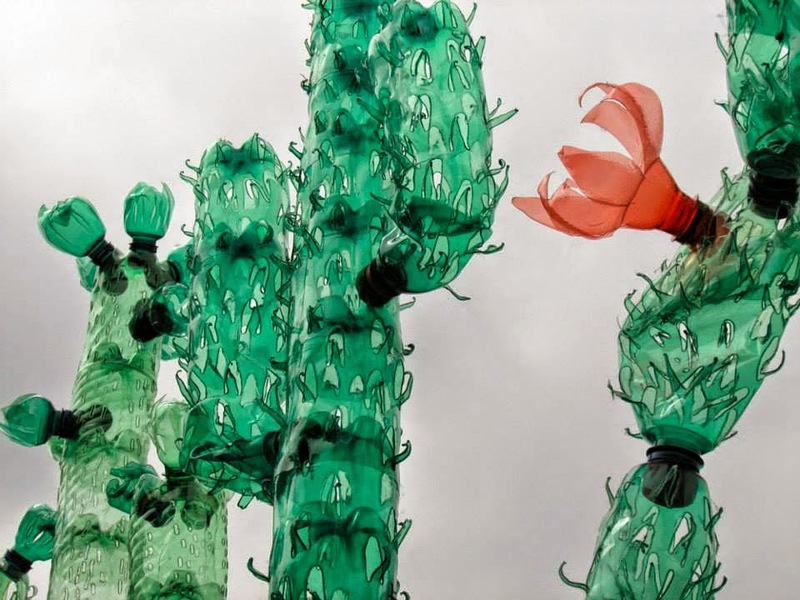 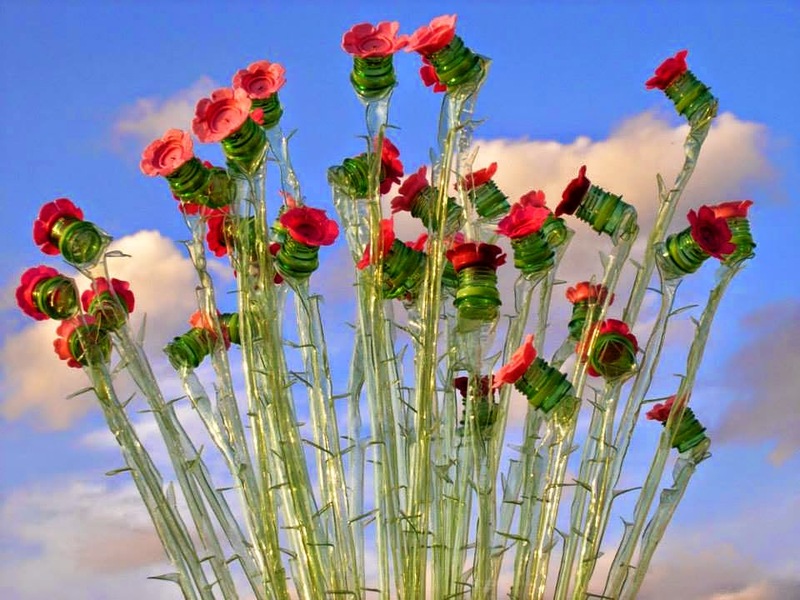 Czech artist Veronika Richterová creates new life from repurposed plastic PET bottles. 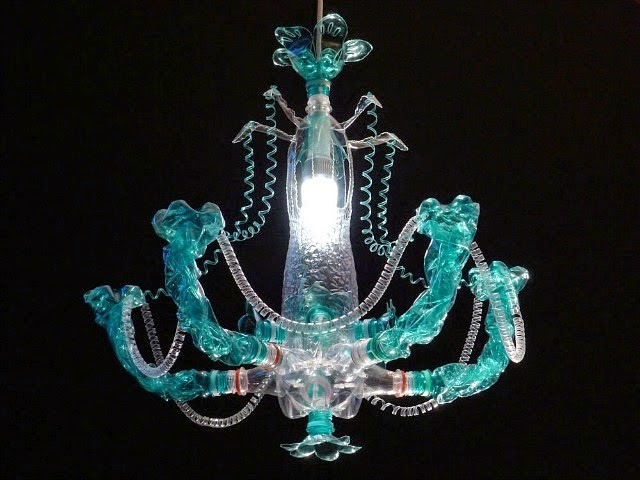 The artist has used various methods of cutting, heating, and assemblage to build colorfully translucent forms of everything from crocodiles to chandelier light fixtures to plants. 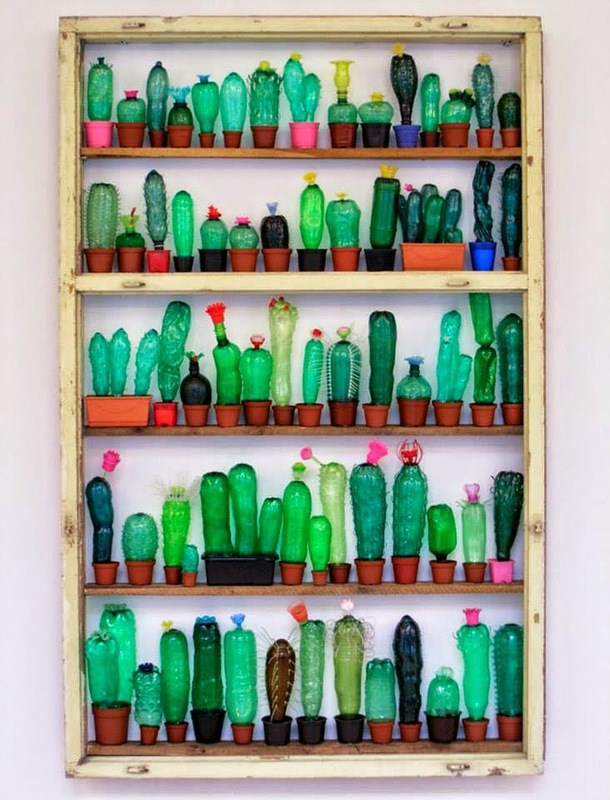 Her obsession with plastic bottles doesn’t stop with creating artwork, Richterová has also collected over 3,000 PET plastic objects from 76 countries and writes extensively about the history and usage of plastic in her article A Tribute to PET Bottles. 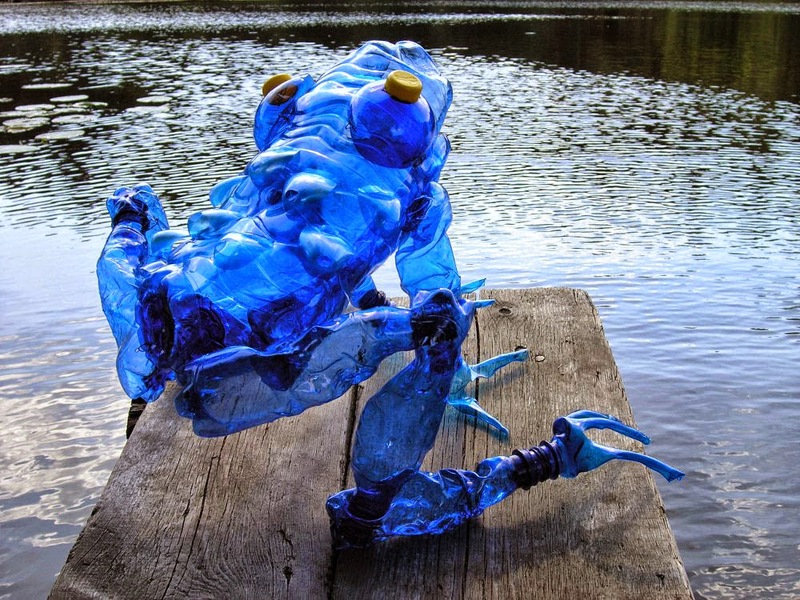 You can see hundreds more sculptures in her online gallery.